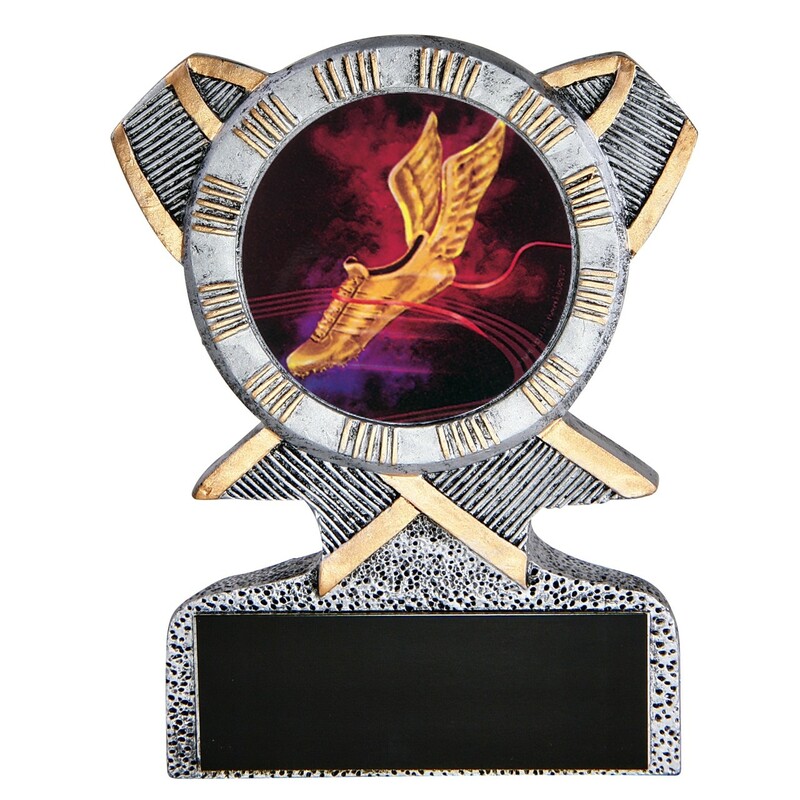 Recognize an important track achievement with the Winged Shoe Track Resin Award! Measuring approximately 5 inches tall, this trophy is made of pewter-colored solid resin with gold highlights. With a victory ribbon shape, the award features a full-color, holographic image of a winged running shoe. 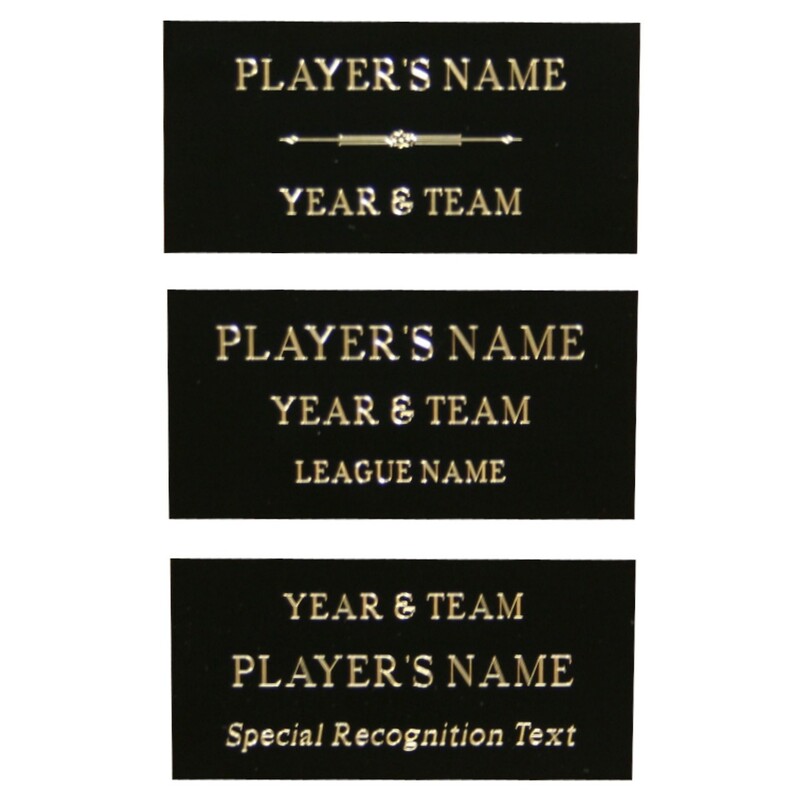 Price includes 3 lines of engraving.